A rationale for creating a clear, realistic and repeatable methodology for designing and implementing investment strategies. Are you establishing a Risk Profile for your clients including an overarching investment objective and a quantitative analysis of how much downside risk they are willing to accept? Are you determining the risk and return characteristics of existing investment positions including return performance, volatility, downside risk and incremental risk per unit of additional potential return? Are you documenting decisions regarding proposed investment portfolios that will, theoretically, achieve the highest possible return commensurate with the client’s Risk Profile? If any answer to the above questions is negative, You may be in violation of SEC regulations, and FINRA’s Rule 2111 among others. Consequently, you may be subject to losing your license to practice as an investment or financial advisor and both you and your parent firm could be liable for financial restitution and penalties. Being wrong when making investment decisions isn’t a crime, but not employing a comprehensive methodology for developing and implementing an investment strategy for clients could be. After spending over 49 years advising institutional and independent investment managers it is truly amazing how the process of developing investment strategies spans the spectrum from applying a consistent methodology to blindly guessing which way the wind is blowing in making investment decisions and security selections. Back in 1987 I met with an advisor in Hawaii and asked him what he told clients about how he made investment decisions. He said “I tell them I read a lot and guess”. After I got up off the floor and stopped laughing, I commended him for his candor but suggested he might consider a more scientific and realistic approach to making investment decision. I also recall how, in the late 1990’s, many advisors were simply investing their client’s capital in 80%+ stocks, 90% of which were technology oriented. There wasn’t any attempt to establish strategies that were consistent with a client’s risk/return profile. I don’t need to tell you how that strategy worked out. One advisor in Colorado was found liable because, in an attempt to avoid fiduciary liability, he invested his client’s entire portfolio in Treasury Bills. The court found that he had failed to construct an investment strategy that attempted to achieve the highest possible rate of return commensurate with the client’s willingness to accept risk and to diversify the investments. Under ERISA regulations advisors are required to invest assets in a minimum of 3 asset classes in addition to balancing the client’s risk with an expected rate of return. The FINRA rule on suitability of recommendations by advisors and their firms to customers and prospective customers which took effect in July, 2012, dealt with a number of issues of which firms and advisors alike will want to be aware of. One of those issues is the use in the regulatory notice of the wording “risk-based approach.” In one instance the notice mentioned a risk-based approach in documenting compliance with supervisory staff, and in another the phrase was used regarding the supervising of recommendations and investment strategies. In other words, advisors MUST use a “risk-based approach” when analyzing client and prospective client portfolios and investment strategies and in making any specific security recommendations. Simply put, advisors MUST be able to establish a client or prospect’s risk profile and they MUST be able to analyze the risk in a portfolio relative to the client’s/prospect’s risk profile. This is similar to the ERISA regulations that require advisors to find solutions that will provide the highest possible rate of return within the investor’s tolerance for risk and any solution must include a minimum of 3 asset classes (i.e. cash, stocks and bonds). Investment analysis tools such as AdvisoryWorld’s SCANalytics, with its leading-edge risk analysis, performance review tools and flexible client ready reports, are all the financial advisor needs to comply with FINRA and ERISA regulations. Virtually all pension sponsors and many money managers require an Investment Policy Statement which lays out the investor’s objectives and assumptions. Successful businesses always have a clear work flow and business plan in place and well executed. Should the advisor’s development and implementation of client investment strategies be any less rigorous? Should advisors be oblivious to the potential liability from failure to have a well-defined and repeatable method of determining where client capital should be invested? In the past 49 years I am not aware of any advisor that has ever been found liable when using investment tools such as SCANalytics, in the comprehensive and methodical development of investment strategies. 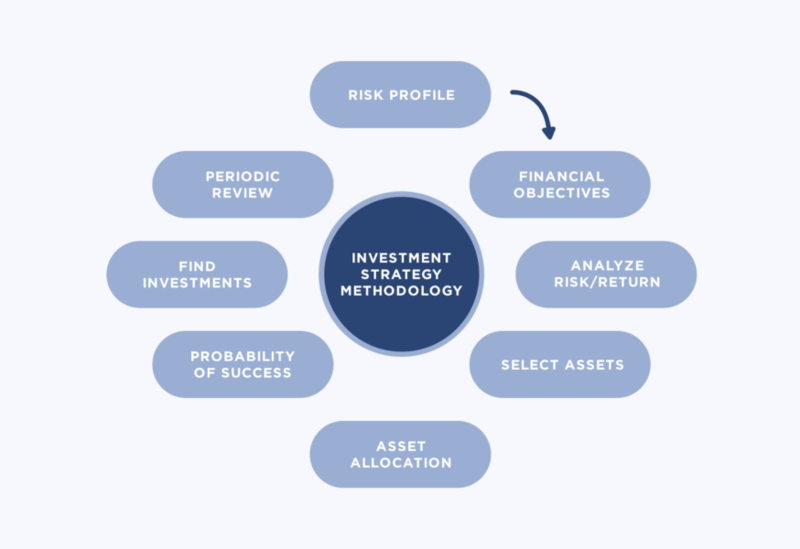 The following discussion assumes that advisors are interested in developing and implementing investment strategies based primarily on a method of investment analysis, portfolio design, and performance evaluation expressed, in large part, by quantitatively evaluating risk (client and investment) and its relationship to investment return. This method focuses attention on the overall composition of the portfolio rather than the traditional method of analyzing and evaluating the individual components. The investment manager is therefore able to examine and design portfolios predicated on explicit risk-reward parameters and on the identification and quantification of portfolio objectives. Financial professionals need to consistently apply clearly defined, practical and repeatable methods of solving very sophisticated investment and retirement objectives. Applying these methods will help provide solutions (i) to better risk management, (ii) the design of investment portfolios with a high probability of achieving a client’s objectives, and (iii) the selection of appropriate investment vehicles and managers. Establishing the investor’s risk profile as measured by the downside risk the investor is willing to accept in any 12 month period. Establishing the investor’s financial objectives including retirement, major purchases, education, etc. The efficient allocation of capital to a selected mix of assets by matching performance characteristics to a specified and quantifiable tolerance for risk. Establishing the probability that the recommended mix of investments will achieve the investor’s objectives. Investors are inherently risk-averse. Investors are not willing to accept risk except where the level of returns generated will fairly compensate for that risk. It is probably reasonable to assume that investors are more concerned with risk than they are with rewards. The problem in the past has been the quantification of risk and its relation to return. The SCANalytics application is extremely powerful in providing a detailed analysis of investment portfolios and relating those risk/return characteristics to a client’s risk profile. Most academic and industry research supports the concept that markets, at least in the broadest sense, are reasonably efficient. The nature of an efficient market is such that all participants have the same information regarding the markets in general, and specific issues in particular, at the same time, although they may come to opposite conclusions as to an appropriate price for individual securities. It is, perhaps, ironic that the sophistication of money managers and their virtually instantaneous access to information today creates greater unparalleled efficiency in the marketplace, thereby making above-average returns extremely difficult to achieve. With the advance in information technology and more sophisticated investors, the markets are likely to become even more efficient. The third, and most important, premise is that the focus of attention should be shifted away from individual security analysis to the consideration of portfolios as a whole predicated on explicit risk-reward parameters and on the identification and quantification of portfolio objectives. Today it is more likely that the efficient allocation of capital to specific asset classes will be far more important than selecting the “right” components of any asset class. The fourth premise is the optimality of portfolio returns vis-à-vis portfolio risk. In other words, for any level of risk that one is willing to accept, there is, mathematically, a rate of return that should be achieved. Quantitative methods are used for measuring risk and diversification, making it possible to create efficient and theoretically optimal portfolios. Portfolio diversification is not so much a function of how many issues are involved, as it is of the relationships of each asset to each other asset and the proportionality of those assets in the portfolio. Investors should search for those assets which tend to have negative relationships to each other. In other words, the portfolio should include assets which go up in value as the value of other assets declines. Find optimal portfolios based on historical performance. This method will invariably find that mix of assets that did, in fact, provide the highest rate of return for any comparable level of risk. Find optimal portfolios using forecasted rates of return and standard deviations. In many cases theoretically optimal portfolios are not acceptable simply because the historical rates of return are not in line with what the advisor and client believe to be realistic. Therefore, it is incumbent upon the advisor to forecast rates of return for each asset. For example, in 1987 historical mean rates of return for EAFE companies were far greater than were reasonably expected for the near future. In many cases prices were at, or greater than, 90 times earnings. Remarkably similar to domestic security prices in 2000. Using those historical mean returns in modeling a portfolio would have led to portfolios that were extremely over-weighted in EAFE type securities and a poor performing portfolio. While correlation and covariance characteristics don’t tend to change over short periods of time, there is absolutely no reason to assume that historical returns are like to repeat themselves in the relatively near future. Both options may require some modifications by establishing holding constraints for individual assets. In effect, the entire process is as much art as it is science. The extent to which knowledge of one asset return provides information regarding the behavior of another asset is measured by the correlation of returns. Are they moving in the same or opposite directions at the same time? Measurements of the risk and return characteristics of individual asset classes and/or investments are inadequate in explaining what happens when investments are combined in portfolios. The true measurement of diversification between assets is called the covariance of the assets. Covariance measures the timing, direction and momentum of the movement of two variables. By calculating the covariances and expected returns for all of the assets in any given portfolio it is possible to calculate the optimal portfolio mix for any degree of risk. Each portfolio on this “efficient frontier” will generate the highest possible rate of return for any specific level of risk, with risk being measured by the standard deviation of returns. Any other portfolio which exhibits the same standard deviation (risk) will generate lower returns and will therefore be considered inefficient. Another way of saying this is, the investor must increase the expected return by the maximum amount for each additional unit of risk he is willing to take. The increase in return vis-à-vis any increase in risk is measured by several functions including the Sharpe Ratio, Treynor Ratio, Sterling Ratio and others. The number of assets in the portfolio is less important than the relationship of those assets. For example, if a portfolio consisted of only two assets with a perfectly negative correlation and differing volatilities (standard deviations), there is some mix of those two assets that will provide 0% portfolio risk and a predictable rate of return. Therefore having many assets in a portfolio will not reduce the systematic risk in the portfolio as much as having negatively correlated assets. It is a misconception, albeit a widely held one, that investors must accept higher levels of risk to achieve higher returns. Developing successful investment strategies and competing for investment capital depends on the advisors ability to demonstrate to prospective clients that they have a clear and rational method, such as the method that follows, for developing and implementing investment plans. How much risk can your client comfortably accept with any investment portfolio? The classic answer from investors to this question is “I want a 25% return and zero risk”. Not much you can do with that, but at least they are aware that investments are inherently risky. A review of the current portfolio’s risk characteristics with the client should give you and the investor a good idea of how much risk he is willing to take. Do not be generic in specifying this risk (i.e. : growth & income or aggressive). Risk is a function of how much loss of principal (real or nominal) the client is willing to accept in any 12-month period. In general and assuming a balanced portfolio, risk levels should never exceed -12.50% (minimum ROR) in any 12-month period. One of our clients had a fairly reasonable way of determining a client’s risk tolerance. He asked the client “if, due to market circumstances, your portfolio is down over 15% in the next 12 months, would you still hire me as your financial advisor”? If the answer is “no”, then how about 10%, and so on. This line of thought forces the client to seriously consider what, if any, loss he might be comfortable with. It is imperative that you have a quantitative answer to this risk profile since it is intrinsically tied to any solution you will develop to achieve investment objectives. For example, you might establish a set of reasonable investment objectives and the range of risk associated with each as follows. From a marketing stand point, there are very few investors who would not pay to know how much risk they are currently taking with their portfolio and what kind of performance might be expected. Managing the investor’s risk and expected performance are critical in providing sound financial advice. In the late 1980’s a large mutual fund company sent out a simple mailer to approximately 1 million prospects. All it said was “would you like to know how much risk you are taking with your current investments”. They received over 300,000 responses. Clearly, the investor’s attitude towards risk is paramount in designing any portfolio strategy. Some years ago I was working with an $86 million pension fund in Chicago that wanted to know what level of risk and return they might expect from their current mix of investments. The analysis demonstrated that, within the 90% probability range, they had a risk of losing 9.6% of their principal in any 12 month period. Clearly, this was much greater risk than they were comfortable with from an actuarial and funding perspective. Understanding this, we were able to then design a portfolio that was more compatible with their risk profile. What should investors achieve with an investment portfolio? In general, the primary objective for any investment portfolio is to provide sufficient capital and income for the investor to live “comfortably” in post-retirement years. For larger estates, the objective may be substantially different, but in all cases you must be able to evaluate alternative scenarios and their likely outcomes. While it is not necessary to have a detailed estate plan in place for most investors, nonetheless it is important that some objectives are clearly set out and that the probability of achieving those goals is evaluated by your portfolio analytical tools. AdvisoryWorld’s SCANalytics tool allows advisors to clearly establish financial objectives and quickly determine of the current or proposed portfolios are likely to achieve those objectives. What financial goals does the investor want to achieve? Retirement, college, major purchases, weddings, etc. When does the investor hope to reach them? How many years until the capital is needed and how many years to use the capital (mortality tables)? How much risk is the investor willing to accept to achieve those goals? Some goals may require more or less risk than others. How much money can he invest now and in the future? How much money will be needed to achieve the goals based on expected return? How much money will be needed, for how long and what is the source of funds (i.e. which investment basket is used to fund the goal)? 3. Analyzing Current InvestmentsIt takes some time and thought to review your client’s finances and financial goals, but the time and effort are well worth the results. Most individual investors acquire assets without much, if any, consideration given to their financial objectives, expected portfolio rates of return, risk, and the inter-relationship or balance of the assets involved. They generally end up with a mix of unrelated investments which, as a whole, can never fulfill the investor’s policies and objectives. Advisors need to design portfolios that will achieve financial objectives by matching assets according to risk/return trade-offs. If capital is allocated efficiently, portfolio returns will generally be higher over the long-term, and portfolio volatility will be lower. Establishing well thought out objectives can result in portfolios with greater predictability and stability of returns and theoretically optimal performance. It is virtually impossible to know how to achieve your objectives unless you know where you’re starting from. Once you know what the investor’s risk profile is, you will need to understanding how much risk is exhibited by the investor’s current investment mix, the expected rate of return and whether or not this level of risk exceeds the investor’s tolerance for downside risk. The process begins by using a sophisticated analytical tool such as SCANalytics to determine the portfolio’s historical mean or annualized return, the standard deviation (a measure of volatility), the correlation matrix for all assets (securities) that comprise the portfolio and the probability range of returns (upper and lower boundaries). Other metrics of value for consideration include: Sharpe Ratio, Treynor Ratio, Sterling Ratio, cumulative rate of return, alpha, beta, R-square, maximum drawdown, up and down market capture, overlap analysis (i.e. the same position is held in multiple accounts/funds), equity and fixed income properties. These metrics will help you and the client better understand the true performance of the portfolio and the constituent parts of the portfolio. The lower boundary of acceptable risk (the investors risk tolerance) is determined by first calculating the historical mean or annualized rate of return and standard deviation of the portfolio. Using that information we can easily determine the upper and lower boundaries of return at any specified probability level. In most cases we use the 90% probability value. This simply means that, all things being equal (i.e. our historical or forecasted return and standard deviation values are reasonably accurate) there is a 5% chance the boundaries could be exceeded. Obviously, the more accurate your assumptions are the more accurate the downside risk parameter will be as well. In any case, it gives you and the investor a basis for understanding how much risk might be involved and decision making. The risk (volatility) of a portfolio is directly related to the correlation characteristics of the assets and the portfolio. The lower the asset standard deviations and the greater the degree of negative correlation, the lower the portfolio risk will be. Downside risk/Lower Boundary is greater than established in the investor’s Risk Profile indicates that the portfolio is too risky. Maximum Drawdown is high indicating excessive volatility. Sharpe Ratio is low (under 0.80) indicates that the portfolio is very inefficient (poor asset allocation). Correlations are low indicating poor asset/security selection. Rates of return or standard deviations alone will not tell you if a portfolio is too volatile or underperforming. An asset with a higher standard deviation may not indicate greater volatility since a higher rate of return may show that there is greater incremental return per unit of change in standard deviation. It is important to consistently consider several metrics you feel are important when reviewing the risk/return characteristics of the portfolio and its relationship to the investor’s Risk Profile. The Equity and Fixed Income Properties are always important in the analysis. Fixed Income Properties such as average duration, yield and rating are very important in understanding the balance and performance of the investment portfolio. The Construction of a Portfolio Begins With Asset Class Allocation. In almost all cases, investors acquire assets based on the investor’s perception of how each asset will perform in the future. 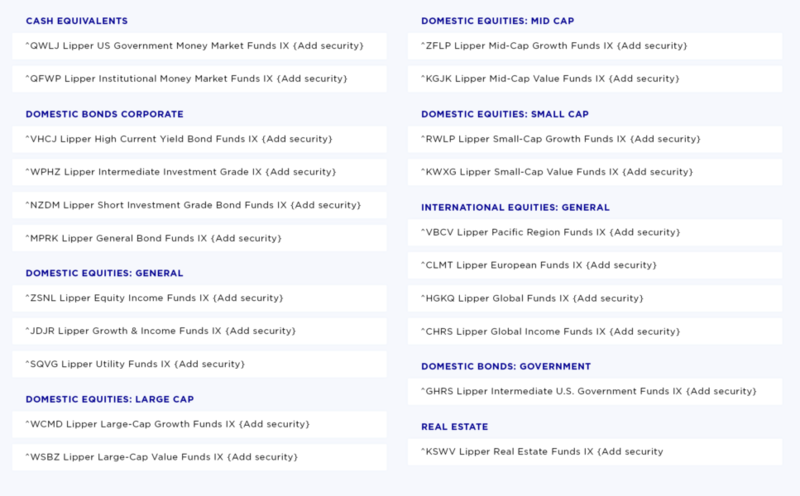 Little, if any, time was spent determining which asset classes might be most appropriate for the investor, and virtually no attention has been paid to the risk characteristics of the individual investments; how each investment will perform relative to each other investment, or how a portfolio containing all of the investor’s assets might perform. It is imperative that the advisor choose those assets classes that, when combined, will meet the investor’s growth and risk requirements. For example, investors that are more risk conscious should not have equities and long-term bonds in their portfolio since they tend to have a positive correlation to each other, thereby compounding the volatility of the portfolio. The chart above dramatically demonstrates the study’s conclusion that asset allocation is the primary determinant of investment performance. Strategic Asset Allocation – uses historical data (mean rates of return, standard deviations and covariances) in an attempt to understand how the asset has performed and is likely to perform over long periods of time. The goal is not to “beat” the market, but to establish a long-term investment strategy using a core mix of assets. Tactical Asset Allocation – uses periodic assumptions regarding the performance and characteristics of the assets and/or the economy. This approach attempts to improve portfolio performance by making “mid-course” changes in the long-term strategy based on near-term expectations. Dynamic Asset Allocation – involves changes in investor circumstances, which may lead to the modification of policies, objectives and/or risk tolerances. Resulting changes are intended to maintain equilibrium between the investor’s policies and objectives and the asset allocation process. To some degree every investment program involves Tactical and/or Dynamic asset allocation. The example I often use is taking a sailboat from San Francisco to Hawaii. If I set a course to get there in a straight line, I will never see the islands. Changes in the winds, currents and weather will all affect the heading of the boat. Consequently, we must always review our strategies and make whatever modifications (Tactical Allocation) are necessary to maintain the course to our objectives. How can you determine appropriate investments? recommend a superfluous asset. If two assets are positively correlated, and one has a lower historical or estimated rate of return and a higher standard deviation (volatility), the latter investment should be excluded from consideration. Having said this, there may be times when you, as the advisor, have certain knowledge or expectations that warrant the inclusion or exclusion of some assets. The classic example would be Japanese or Pacific Rim securities in 1988 when most advisors were under-weighting Pacific Rim securities in portfolios as they were considered substantially over-valued. How much diversification will be required? It is important to note that diversification is not a function of how many assets or securities are included, but rather are they negatively correlated and do the selected assets balance the portfolio. For example, if you had an equity portfolio of 100 stocks, the portfolio is no more diversified and the systematic risk of the portfolio is not reduced any more than if you had only 20 stocks across industry lines. In other words, adding 80 more stocks to the portfolio did not reduce the risk of the portfolio. In fact, having just two perfectly negatively correlated assets in the portfolio would represent a portfolio which will exhibit zero risk and a constant and predictable rate of return (it should be noted that we have never seen two perfectly negatively correlated assets). 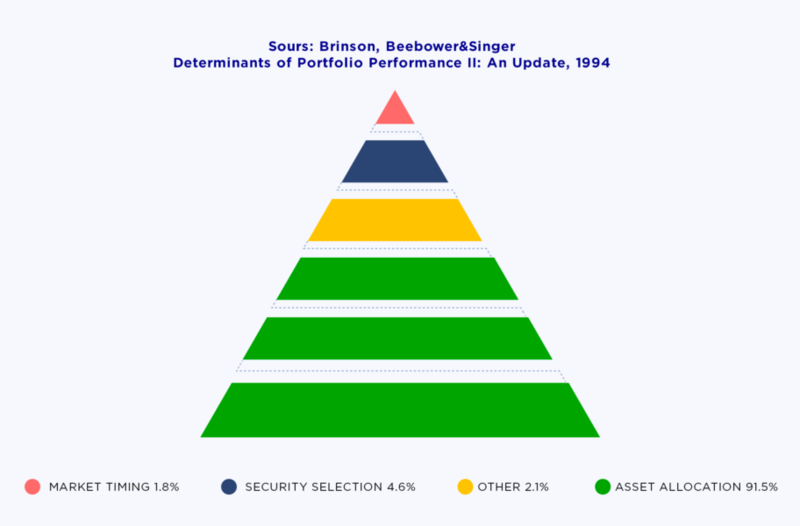 The point is, portfolios that contain only three or four assets may, in fact, be far more diversified than portfolios that contain 9 or 10 assets. In some cases you may find that although you have included several assets, an Optimization algorithm may only recommends three assets. Mathematically the relationships of the assets (returns, correlations and covariances) will support the recommendation. However, you may feel that additional “diversification” is necessary. Remember, your knowledge, experience and understanding of your client’s needs are as important as any mathematical algorithm in the asset allocation programs. It is also true that tools such as SCANalytics and the algorithms employed are not magical and therefore should only be relied upon as “mathematically” probable. There is not any means by which these tools can know about current or possible economic events which might further influence the performance of any asset or assets without your introduction. Your experience, expertise and knowledge will be useful in guiding the composition of the portfolio. Forecasted Returns (standard deviations, correlations)In order to evaluate the performance characteristics of the recommended portfolio and comparison with the current portfolio, it would be appropriate to forecast expected returns for the near term (1-5 years). Clearly, your return assumptions will materially affect the probable performance. Subjective Analysis of Alternative Investment ScenariosIn some cases advisors may simply be able to add or substitute asset classes iteratively based on alternative scenarios and manually modify allocations. The advisor would then run each scenario through the analysis procedure to determine if any of these portfolios will provide suitable returns within established risk parameters. While this is extremely subjective and time consuming, it may offer both the advisor and the client a better understanding of the various trade-offs suggested by each iteration. Find Theoretically Optimal PortfoliosOptimization is the process of mathematically determining those combinations of investments (assets and/or securities) that will achieve the highest possible rate of return for any level of risk that an investor is willing to accept. In general, it is recommended that advisors optimize portfolios at the Asset Class level. Once this has been done, the advisor can find investment vehicles that are coordinated with the selected Asset classes and compliant with the investor’s risk and objectives. Method of Optimization: AdvisoryWorld’s applications employ a highly sophisticated quadratic (multi-factor) mean-variance optimization algorithm. This algorithm calculates optimal solutions using the asset and/or security rates of return, standard deviations, correlation coefficients, covariances, and maximum or minimum constraints assigned at the asset type, asset class or security levels. An Efficient Frontier curve is displayed which includes alternative portfolio solutions. Users can calculate optimal portfolios on a pre-tax or after-tax basis, with management fees, or net of inflation. When using strictly historical data, optimizers may be unequivocally relied upon to provide the optimal portfolio in terms of return and “risk” for the specified time period. For example, using a time horizon of 1985 to the present, the optimal portfolio displayed would have been the “optimal” portfolio for that time period. Unfortunately, there is no statistical evidence to support the idea that returns will ever repeat themselves at any time in the future. Therefore, it is extremely important that the advisor carefully determine the underlying assumptions that are being used in the system. If you believe that the next 12 -60 months will be somewhat inflationary, then you might want to use an historical time period that was, in fact, inflationary such as 1975-1980, or 1987-1990. Using this time horizon allow you to calculate the correlations and standard deviations which actually may exist in this type of economic environment. Then forecasting rates of return for the next 12-60 months might give you a better scenario for the portfolio you are designing. Again, there is no guarantee that future returns will actually be reflected by these forecasts or the displayed values for the portfolio. When using the optimization function the application will first find the optimal portfolio that will achieve the highest possible rate of return without exceeding the Minimum ROR specified for the client. This value is the greatest amount of downside risk (real or nominal loss of principal) in any 12 month period that the client is willing to accept. The same algorithm will solve for those portfolios that can be expected to achieve the client’s goals. Using Cash Flow & Financial Plan Analysis, the advisor can quickly determine if the current or proposed portfolio will achieve the client’s goals while remaining within their tolerance for risk. Are there any asset constraints (minimum/maximum amount allocated to specific assets)? If your client currently holds investments in long-term, illiquid assets, the portfolio will be constrained by the capital committed to that asset. The advisor should not arbitrarily constrain the portfolio assets (assign minimums and maximums) before optimizing the portfolio. It is strongly recommended that the advisor optimize the portfolio and then iteratively set minimum or maximum levels for each asset (or you may set global minimums or maximums of some amount) until the portfolio meets your satisfaction. If you believe that the optimization algorithm has allocated too much or too little to a particular asset, you should review the returns before setting constraints. It may well be that the asset in question has a rate of return far higher than you are comfortable with. Consequently, you should lower the return estimate and then re-optimize. You should find that the allocation is materially different using the new ROR estimate. A good example of the foregoing would have been the Pacific Rim index in 1988-89. At that point the index return for the past 10 years was around 21%, far higher than most advisors were willing to forecast for the next 12 – 24 months. By lowering the forecasted return to the 10% level the allocation to Pacific Rim securities dropped from 80%+ to around 12%. This allocation was predicated on the asset’s forecasted ROR, historical STD and its relationship to each other asset in the portfolio, and not some arbitrary figure that would have been incorrect in relationship to the other assets and the portfolio as a whole. The reason for not pre-setting constraints is that there is no way the advisor can know precisely the mathematical relationship of each asset to each other asset in the portfolio. Consequently, pre-setting constraints may have the adverse effect of tilting the portfolio in the wrong direction. 6. Finding Appropriate Investment Vehicles. Once the portfolio asset class allocation has been established the advisor will find those investment vehicles that match the performance characteristics of the asset classes (rerun, standard deviation, correlation to appropriate benchmarks). Once the proposed portfolio has been designed it is now necessary to calculate the probable cash flow of the portfolio and the probability of achieving the investor’s financial goals. Using AdvisoryWorld’s and other analytical tools the advisor can view this information using cash flow analysis and/or Monte Carlo simulation. This process will give the proposed portfolio credibility with regard to the estimated rate of return, volatility characteristics and likelihood of achieving the investor’s financial goals. Establish a regular period of review with the client. Various personal experiences and external factors can easily move the client’s risk profile in either direction requiring some modification of the portfolio and financial objectives. Changes in the dynamics of the financial markets may also require reevaluation of portfolio allocations and asset class participation. Mr. Wilson holds degrees in Finance and Philosophy from St. Louis University. He has been in the investment business for 49 years and has provided investment strategy and related advice to, among others, Sears Pension, Allstate Insurance, Bank of America, and The University of Chicago. He has developed some of the most powerful investment tools currently available including performance evaluation, portfolio analysis, portfolio optimization, wealth accumulation, retirement planning, portfolio hypotheticals and mutual fund hypotheticals programs. Mr. Wilson is listed in Barron’s Who’s Who In America’s Pacific Rim as a recognized specialist in portfolio optimization methodologies, has been a guest lecturer on asset allocation and investment strategies throughout the United States, Europe and Australia and was recognized by Investment Advisor Magazine for his contribution to the financial services industry in promoting Modern Portfolio Theory. Mr. Wilson has also written or co-authored articles for the Journal of Accountancy, Investment Management & Research, Wealth Magazine, Financial Advisor Magazine and Investment Advisor Magazine, has been widely quoted in many other investment books and news publications and most recently was a guest on CNN.